Hey, my name is Tomáš and I like to go out and see the world. In 2016 I abandoned everything I had left and headed for the world. Thanks to the visit to Nepal and India I immediately picked up a feeling of adventure and travelling. I haven’t prepared much for my next trip and although I have never travelled more than 50 kms on a bike, I’ve set out on a 7000 kms long journey from Czech Republic to Gruzia and back in 101 days. The feeling of adventure and discovering of new places was stronger with every minute after my homecoming so I decided to give myself a new challenge. 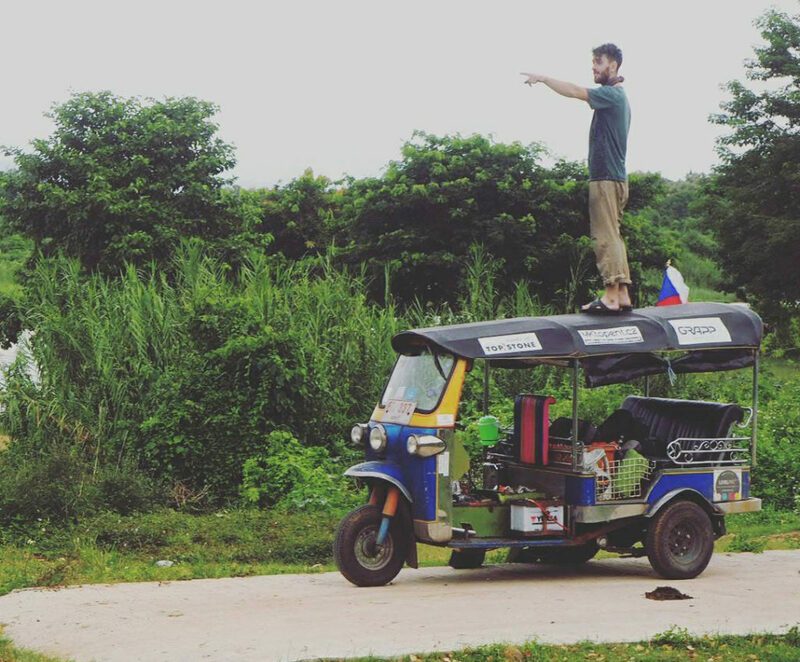 That is to travel in tuktuk (asian motorized rickshaw) from Bangkok to home.The journey will be challenging because I understand the engines just as much as a goat understands parsley but I believe that I will manage to overcome those 20 000 kms no matter what. Start will be in June 2017. Otherwise i like risotto, my dog and challenges. I despise the dill sauce. And what if you see me? Scream ”Hey Tomíku” and if I turn around, you can be sure that it’s me. Well if it won’t be someone who’s also called Tomík. During the day, you can also recognize me by my ginger beard which I adore very much. I’ve got my own teeth and t-shirt from Thailand, same as the TukTuk which I’m driving home. I like all kinds of food at any given time. I consider myself muscleless and brainless because I don’t believe stuff that I can’t see. I wrote this down at 4 a.m. because I’m looking forward to tomorrow so much, that I can’t sleep. I like cheese that much, that I’m going to marry it one day (cheese is feminine grammatical gender). I’ve got some favorite identity papers, mostly ID card, and my health insurance card. Dog named Fred is waiting for me at home. I like him but he likes me more. I am a big fan of wrestling and archery. Wanna ask something? You can do so by clicking on CONTACTS section. An auto rickshaw is a motorized development of the traditional pulled rickshaw or cycle rickshaw. Most have three wheels and do not tilt. In the front, there’s a motorcycle with a seat for the driver, passengers sit in the back. An auto rickshaw is a common form of urban transport, both as a vehicle for hire and for private use, in many countries around the world, especially those with tropical or subtropical climates, including many developing countries. Bajaj Auto is the world’s largest Auto rickshaw manufacturer from Indonesia. Seats: Me + 2 human beings. N. of technical problems: Astronomical. 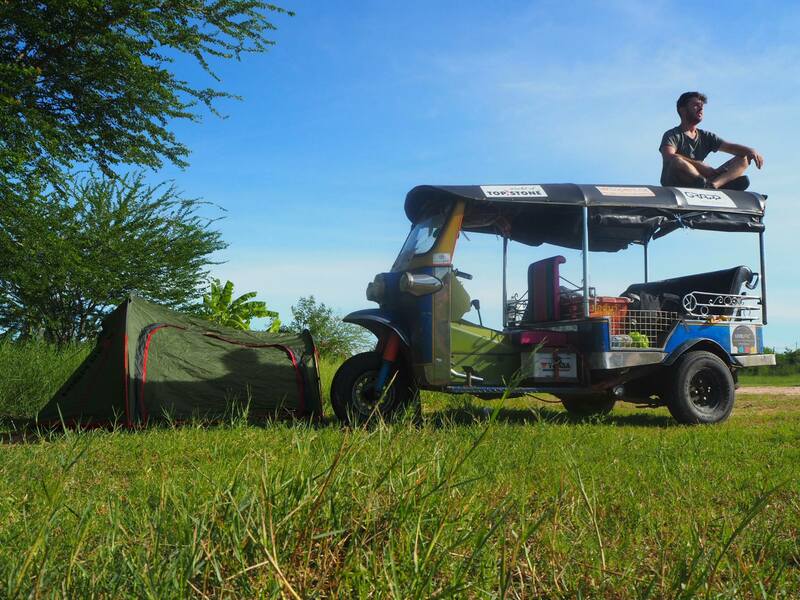 Wanna hear a sound produced by an ordinary TukTuk and my TukTuk? When am I coming back home? V pr Tuktuku no ale kde přesně? All the nice and beautiful things (and even the scary ones) that I saw and took photo of. You can find them on my Instagram page or in the Photo Gallery section.